On March 11, through its Weibo account, the OPPO VP announced the new OPPO Reno range with a colorful image. The rumors and leaks around the new phone of the Chinese manufacturer did not wait and a few days ago we could see two variants go through the TENAA. 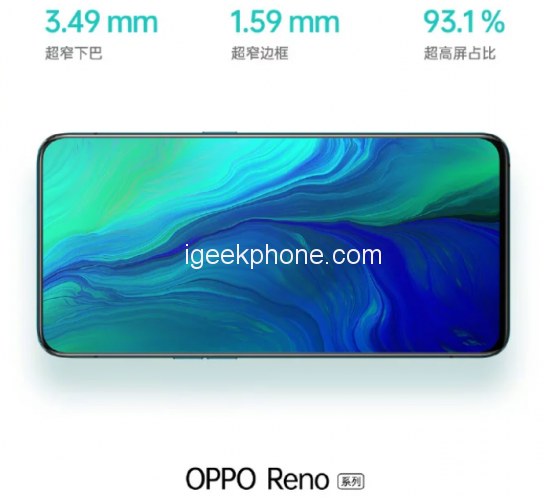 Now, OPPO has gone a step further and, a week before its presentation, the company had released a static Reno poster which reveals that it will consist of a 13MP telephoto lens, 48MP main sensor, and an 8MP wide angle lens. In addition, it will offer 10X hybrid optical zoom support. As a result, its display will have minimal frames and we now also know what. The display should occupy up to 93.1% of the front. The lower chin will have a width of 3.49mm and the remaining edges only 1.59mm. Oppo Reno team will fill the concept of a panoramic display. 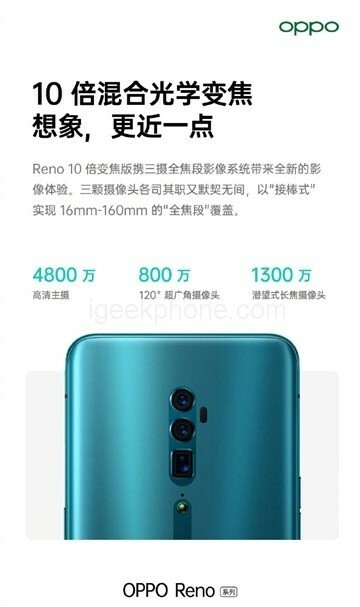 Recently, the vice president of Oppo has confirmed through a post on the Chinese social network Weibo that the Oppo Reno 10X Zoom Edition will come with dual frequency GPU support, a feature we first saw in the Xiaomi Mi 8. It helps in reducing inaccuracies in GPS tracking caused due to interfaces such as buildings and signal delays. The dual-frequency GPS supports L1 + L5 dual frequency positioning and the measurement accuracy is considered three to five times better. The satellite that supports the L5 band was officially launched in 2018 and its bandwidth was increased by 10 times. The Oppo Reno will be equipped with the latest and greatest Qualcomm Snapdragon 855 chipset and the revealed specifications of the phone suggest that it will be powered by 8GB of RAM and will have 256GB of internal storage. It will be running the Android 9 Pie operating system ready for use with the company’s own ColorOS 6.0 on top. 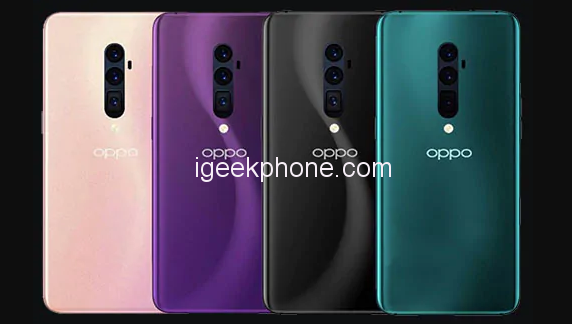 OPPO Reno will be launch in four different colors: Midnight Black, Nebula Purple, Pink, and Sea Green and it will be presented this month at a date not yet specified. We will finally know the news that Oppo has reserved for us.